You’ve checked every pocket, looked in every drawer, retraced your steps over the last seven days, and the worst has happened: you lost your ID, and you’re flying back home in a few hours. Before you have a meltdown in your hotel room or Uber and wail like Dorothy, “There’s no place like home!” there’s good news: You can still fly home, even if you’ve lost your identification. It won’t be as easy as clicking your heels together, but it can be done. Let’s start with the basics. Get to the airport as early as possible, because this is going to take some time. 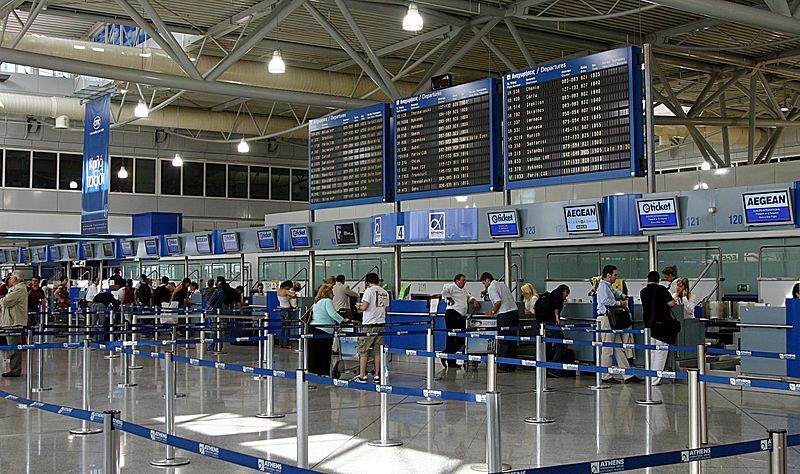 Your first stop should be at your airline’s check-in counter to report the situation to a representative. They have the power to grant you permission to proceed to your next step — security — provided you have other forms of identification — a credit card in your name, or even a digital copy of your birth certificate, driver’s license, or passport. This is why you should take photos of those documents and keep them in a secure place, like Evernote or Google Drive. Even some other document that states your name and address, such as an electric bill or official correspondence, will work. Keep in mind that the airlines will not issue you a refund if you miss your flight because you have this problem, so you have to get there early. Once the airline representative is satisfied you are who you say you are, you may think you’re over the rainbow. Sadly, you’re not. You still have to pass through security. Many people come and go so quickly here, but that will not be your experience. TSA will ask you the same questions again, so don’t treat them poorly — your clearance depends on their goodwill, so if you create a scene, you might not be getting on that plane. Go willingly with them to the separate room they’ll likely take you to, and be as polite and patient as possible. After their additional screening is complete, you’ll be free to head to your gate and board your flight. If, however, this happens while you’re traveling abroad, your best first course of action is to contact the nearest U.S. Embassy to get the process underway to get replacement passports. But if you want to expedite the process and save yourself some headaches later, here are two suggestions: 1) Have scans of your birth certificate, driver’s license, and passport stored in the cloud so you can access them with your phone in case this ever happens. 2) Storing hard copies of those documents in a secret spot in your suitcase is best if you’re traveling abroad. With some luck, plenty of patience, not to mention politeness, you’ll be at your final destination in no time, with a great story to tell, and hopefully a short delay on getting a replacement ID. Have you ever lost your ID before a flight? How did you manage? Any suggestions on how to navigate the process? Tell us about it on our Facebook page, or on our Twitter stream.